Established in 1992, our team of highly dedicated upholstery craftsman has worked on jobs ranging from home sofa sets all the way to assisting locally acclaimed businesses, we are heavily experienced in the art of creating and reviving beautiful upholstery pieces for homes, offices and commercial space. As we create our pieces in-house, we are able to create bespoke upholstery works with our enormous range of over a thousand high-quality fabrics and leather flown in from trusted suppliers from around the world. Also, our stringent quality control standards allow us to produce versatile beautiful upholstery works that you can rely on all the time. We can provide you a quotation without requiring you to leave the comfort of your home or office, simply WhatsApp us an image of your upholstery piece and requirements and we'll send you a quote. In our pursuit of customer satisfaction, we have decided to offer a comprehensive workmanship warranty for all upholstery projects we fulfil. So put your mind at ease when you hire us to refresh your upholstery. With our vast selection of over a thousand suitable fabrics and leathers, we definitely have the right material for you. If you are looking for a certain unique style, we probably have it in stock, ready for use. With over 20 years of experience and completely in-house operations, we have significantly lower operational costs than the competition, giving us the ability to pass on immense savings to our beloved customers. I had my dining chair cushions made. Very well done and good quality. Service was fast n wide range of fabric to choose from. Staff were all very helpful. We had our dining chairs and couch upholstered by D1 after a recommendation by a friend and I am super happy that the job was so well done. Thanks again. I have a sofa which has been around since I was young and alot ofthe leather is broken, but couldnt bear to throw away. D1 did a very good job renewing it, will recommend them. Providing great experience is what we are all about. 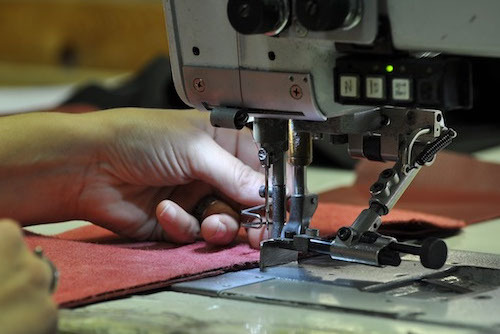 That is why you can be assured that you upholstery is in the excellent hands of our talented craftsmen. With our extensive range of leathers and fabrics and exhaustive workmanship warranty, our past clients have been thoroughly impressed by our work and we believe you will be too. We also cannot stress enough on our affordability. We care about bringing great furniture to our customers; without unnecessary charges and heavy markups that our competitors charge. Call our friendly team for a free upholstery quote, if you're agreeable, we'll discuss your requirements and our choose the leather/fabric type. We will provide you the paperwork for the final confirmations with regards to the type of material and schedule your furniture pick up. Our craftsmen will utilise their skills to reupholster, create or restore the piece of furniture to perfectly match the design that was agreed. Once all is complete, we will carefully deliver and meticulously arrange your revived piece to the exact spot of your fancy. Then, its finally ready to amaze. Looking For Upholstery Services in Singapore? Copyright © 2017 UpholsterySingapore.com. All rights reserved.